Tired of depressing news about the government shutdown and looming debt ceiling deadline? Lucky for you, Cookie Monster is here to help. 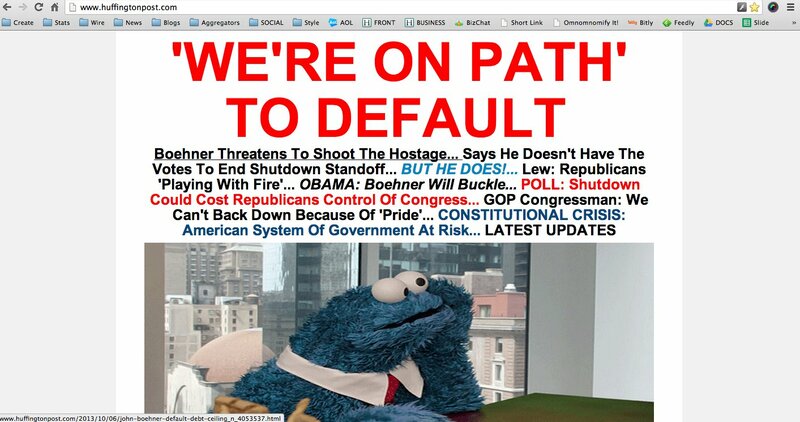 If you venture on over to omnomnomify.com and add the featured bookmarklet to your browser, you will watch as Cookie Monster literally takes over your entire web page. We could go on, because each example is hilarious, but why spoil your own fun of trying the bookmarklet out yourself.